Scuderia: (skudeˈria), noun. “Stable” in the Italian language. It has entered English usage mainly through professional auto racing, in which many Italian teams incorporate the term in their names. If you love the look of the Ferrari F430, but want to have something a little more special than everyone else, the F430 Scuderia is the car for you. The successor to the Challenge Stradale, the 430 Scuderia was introduced at the 2007 Frankfurt Auto Show by Michael Schumacher, and was created with the intention to compete with cars like the Porsche RS-models and the Lamborghini Gallardo Superleggera. Weighing a staggering 220 pounds less than a standard 430, this car is built for speed and performance. A bare-bones interior–no carpet, carbon fiber trim and alcantara seats instead of leather–allows for the decrease in weight. The Scuderia is not only lighter and quicker than its competitors, it’s exterior is even cooler: simpler and more like a race car. While it maintains the same coupe shape, the lower stance and sharper detailing of the Scuderia give it a more aerodynamic silhouette than the 430, without sacrificing its versatility as a car for every day use. Simply put, the Ferrari Scuderia is the finest street-legal, exotic motor car on the market. With an upgraded, superfast F1 transmission, exhaust, and intake modifications from the factory, the F430 Scuderia accelerates from 0-60MPH in a mind blowing 3.6 seconds, and boasts a top speed reported at 198 MPH. 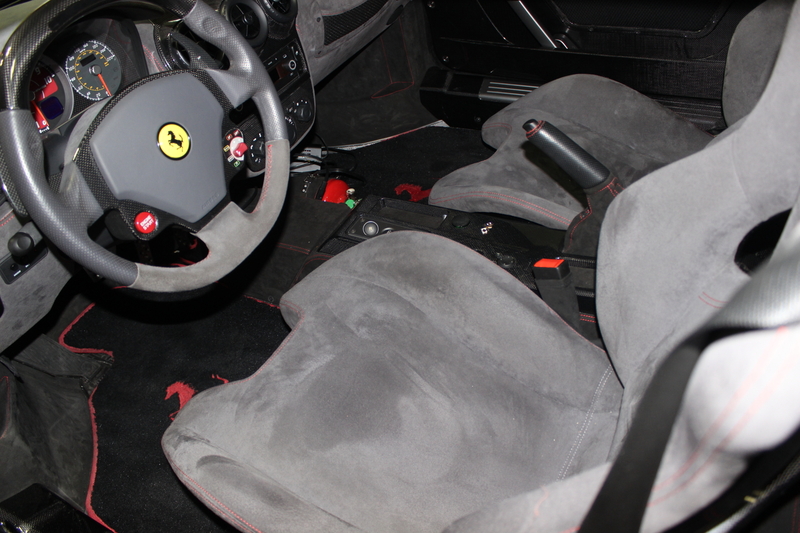 View our 2008 Ferrari F430 Scuderia here. Ferrari claims that the Scuderia matches both the Enzo and the F430 successor, the 458, around their test track in Italy. Ferrari is not the only carmaker to build street legal race cars. Both Porsche and Lamborghini have models that compete with the Scuderia. You may be wondering which brand will make the best investment…well, that depends on who you ask…but take it from us, always bet on Ferrari.